We are the Ambassadors of FIRST. This season we have been awarded the Inspire Award 2nd place, the Connect Award, and Innovate Award 3rd place. These accomplishments reflect on our journey as a team. We are thankful that FIRST and the FTC competition have given us avenues to help other and spread our love of STEM. At its heart Engineering is about using science to find creative, practical solutions. We brainstormed ideas, and we built a prototype using Fusion Autodesk. We then converted our ideas and the prototype into our physical design. We made sure that the robot met the measurement requirements for competition. We have some unique features on our robot such as our Lead Screw which is somewhat like a car jack. We uses a lead screw powered by a motor on our Robot to lift and latch onto the lander. Our Intake system is inspired by car washes. The Intake Mechanism is Similar to a Car Wash roller. As the minerals goes under the mechanism the spinners pull in the minerals. We used java programming for both autonomous and tele op. This helped us make more precise movements. For our rookie year we chose to sue block programming, but this year we have chosen to use java to expand our knowledge. All of our team members are passionate about giving back to the community. This year we have hosted many expos, workshops, classes and scrimmages. We have mentored 15 rookie FLL teams and 4 FTC teams to help prepare for competition. We have also organized The World Robotics Olympiad in the eastern region for the first time. ​We have also raised over $1,000 for Hurricane Harvey Relief funds and we have helped serve families through making meals for our local homeless shelter. We have multiple sponsors for our team this year. Huge thank you to them because they helped us get our designs to a reality! They inspired us to keep working to finish our robot even when we had a problem. Visit our sponsors page to know more about the companies behind this FTC team. Our Mentor is Robotics For Youth (RFY)! They impact today's youth by letting them experience the joy of robotics. We talk more about RFY on our About Us Page. Thank you RFY! 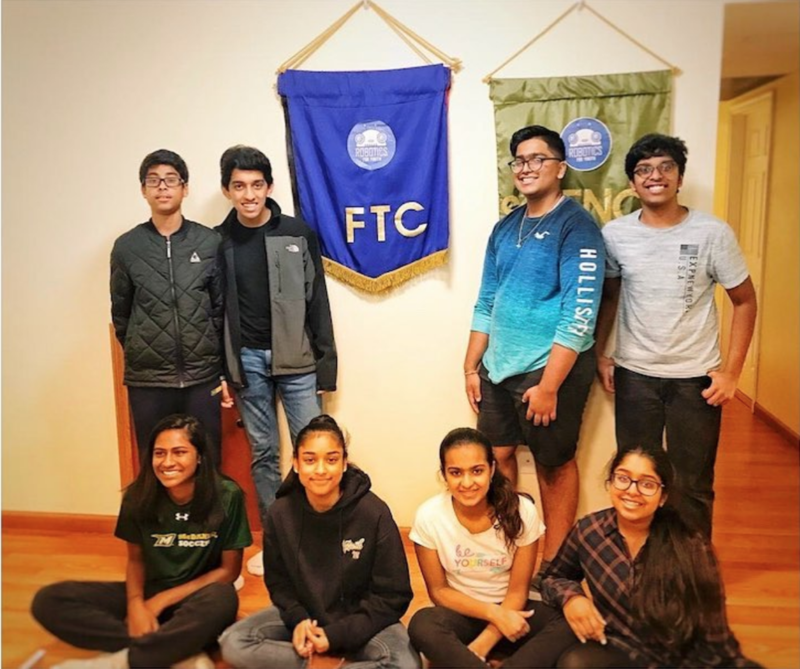 Visit our sponsors page to know more about the companies behind this FTC team. This year our goal is to advance past states. To achieve this goal we all have put in a lot of time programming, designing, and preparing. We have mapped out a plan and a strategy to hopefully continue to states. Our road to success has not been an easy one as we have faced many challenges along the way. We hope that all the hours we put in can lead us on the trail to nationals!